Amid much idle speaking on Ukraine crisis there rises a new beneficiary of it, that is to become the second largest profit-maker after Putin, with potential even to surpass him in mid-term. This lucky guy is called “US military industrial complex”. In most of the East European countries that have borders with Ukraine, or are close to it, always has started a PR campaign on the need of rearmament of the army with new and better equipment. On the front of this propaganda in some countries are even high positioned officials – presidents, PMs and ministers. It looks as they themselves have been hired by corporations to promote new military equipment opportunities. Most of these countries have weapons inherited from the Cold war – mostly Russian or their own production based on Russian licenses. So now you can hear even the argument that relying on Russian weapon is a mistake, as in a case of real conflict, you cannot expect support for this equipment. Obviously the presumption is that the war will be against Russia. This obviously is a well-planned propaganda, as Russia is not a threat for anyone. In addition most of these countries are NATO members, so Russia cannot attack them unless it plans to start a world war. And finally, the politicians are talking about military investments that have nothing with the threat similar with this in Ukraine. Politicians are speaking about new airplanes, because old ones (MIG and SU) are dependent on Russia. But in Crimea happened something like a Special Forces, or commando, operation with fighters and bombardiers absolutely useless. 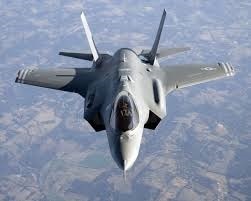 A single unit of the newest US super fighter F-35 costs $130 million. Do you understand now why PRs and politicians are talking about jets? Not because they are needed and not because they will be useful against Russian invasion. But because they are expensive and presume very generous bribes and commissions.